At first I was sceptical about using milk to cook a savoury dish. 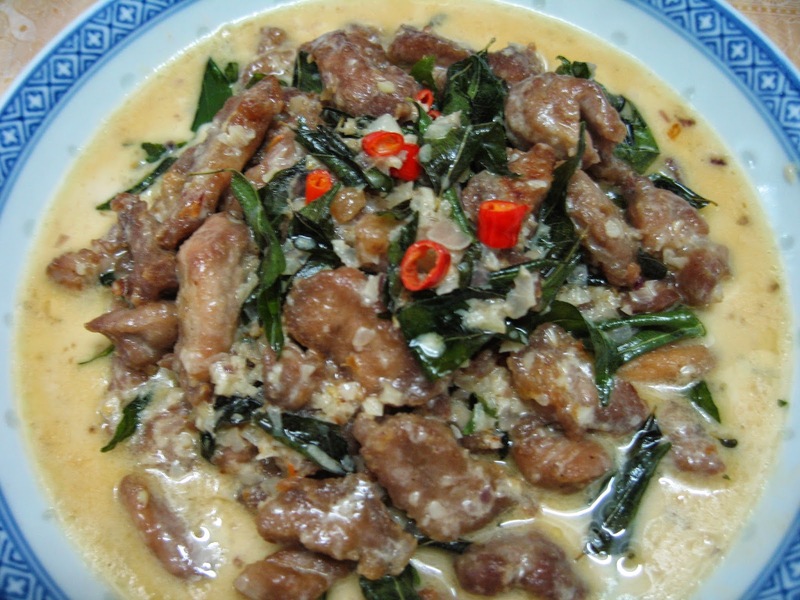 Then I let my imagination run and tried to visualise the combination of pork, chilli padi and milk. I took a gamble and I have no regrets! 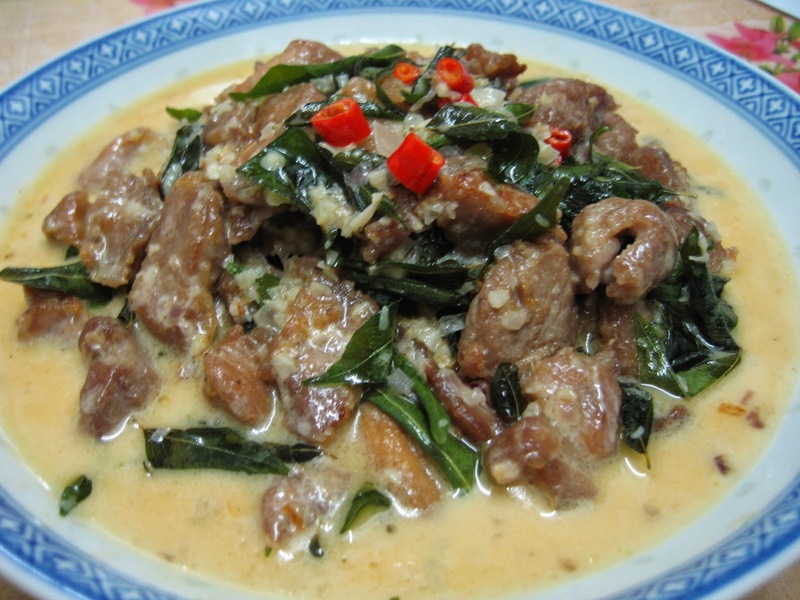 The pork pieces had been marinated and shallow-fried before cooking in milk. The curry leaves make it very fragrant. Add more chilli padi if you like it real hot! 1. 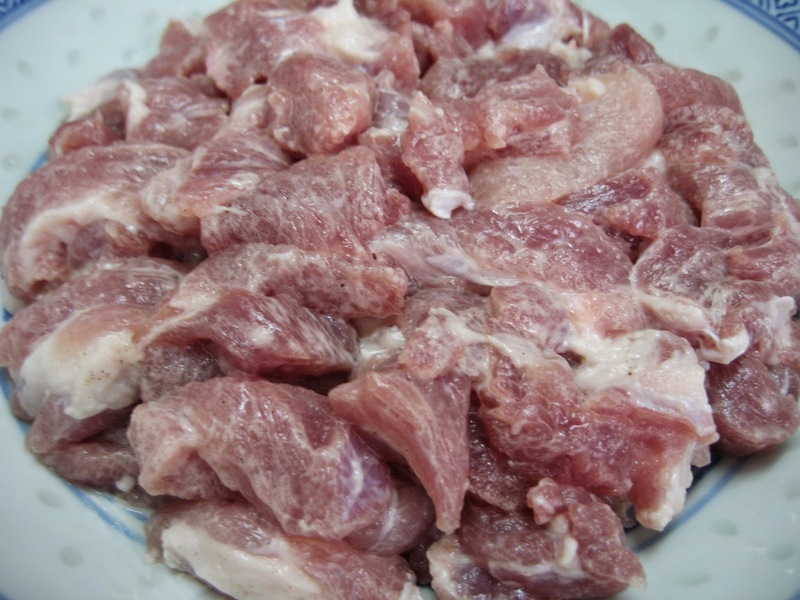 Mix the pork pieces with salt, pepper and tapioca flour and allow to marinate for about 1 hour. 2. Heat enough oil in a wok to shallow-fry the marinated pork pieces until golden brown. About 2 to 3 minutes per side. Remove and set aside. 3. Remove the oil used for frying the pork pieces leaving only about 3 tbsp of the oil in the wok. 4. 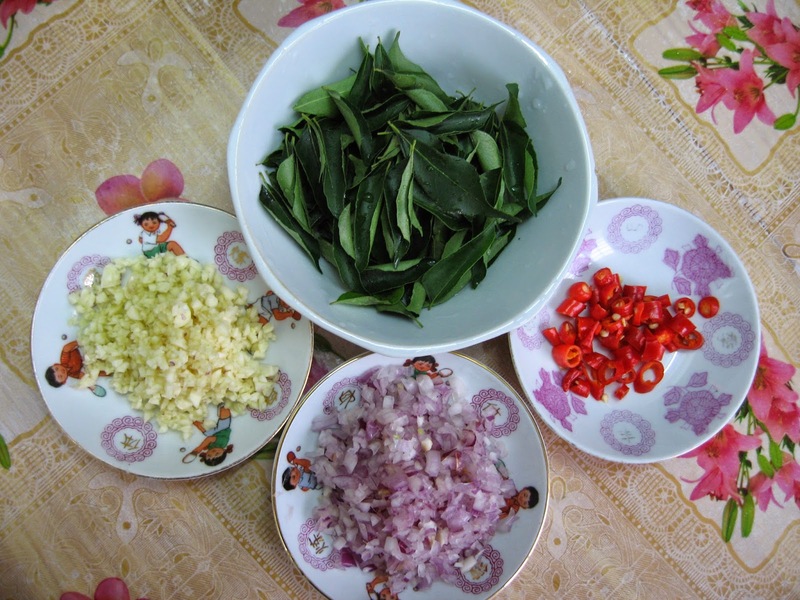 Saute the chopped garlic, shallots and curry leaves until fragrant. Make sure the shallots and garlic are not burnt. 5. Add in the fried pork pieces and continue to stir-fry for 4 to 5 minutes. 6. 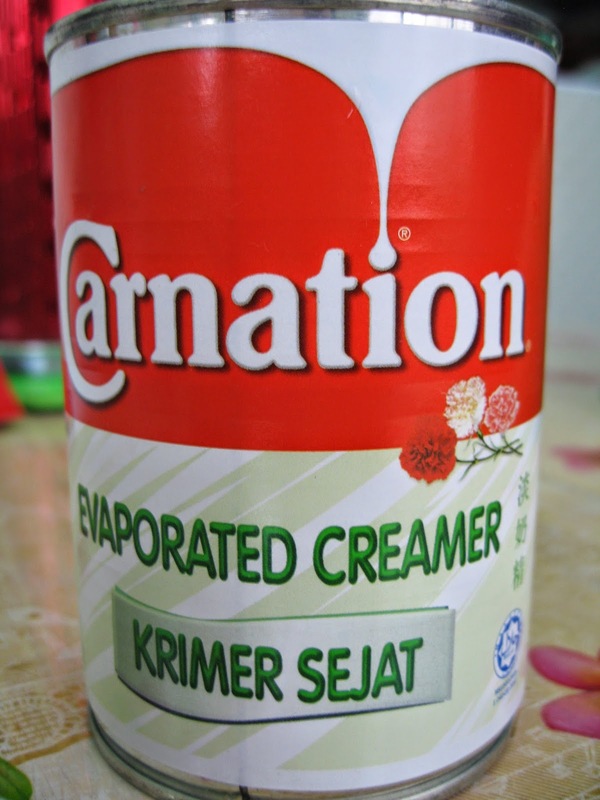 Pour in water and evaporated milk. Cook until slightly thicken, about 2 to 3 minutes. 7. Add salt, sugar and chicken stock granules. Doris, this sounds like Thai food which most of their cooking has coconut milk or evaporated milk. It looks good! Pork in milk sounds simply delicious! Looks great! Bet those chilli padi really gave it a kick!